In the previous article I have explained Insert multiple records (rows) into sqlserver database and Asp.net add multiple rows to Gridview dynamically. All major browsers (Google chrome, Mozilla firefox, Safari and Internet explorer) has default functionality of auto complete the textboxes values means when user start to type value in textbox gets a dropdown like prefilled values in that particular textbox . 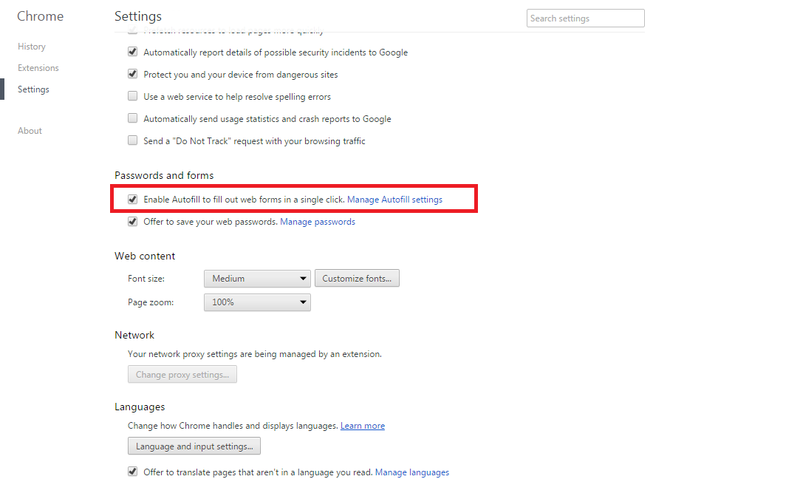 We can disable the auto fill settings of browsers by uncheck the enable autofill option in browsers settings. This is manual option that will be performed by the each user on their browsers. 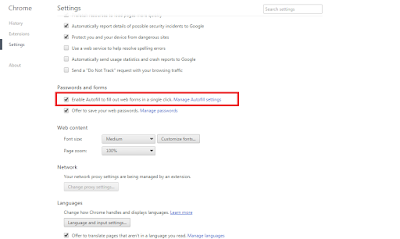 But asp.net has option if we implement that, no need to make changes in browsers settings. We have three ways to disable the autofill. We can disable it by set autocomplete="off" the in the form tag. It will disable it for entire form. To disable autofill for a particular textbox set autocomplete="off"
We can also disable the autofill from code behind. Write the below given code on page load event. Build and run the project. To test it insert the record via click on submit button. After that again type the same value as you enter earlier. In this article we have learn to how we can disable the auto-fill in browser for a textbox asp.net using C# and VB.net. I hope you enjoyed this article.